By integrating your LiveChat with Desk.com, you will be able to move cases from chat to the help desk. After setting up this integration, you will be one click away from creating a new Desk.com case. Simplify your customer support activities and integrate your live chat with Desk.com today! To begin the set-up, login to your Desk.com and switch to the Admin view. After logging in, just click on ≡ icon in the top left corner of the dashboard and then select Admin. Next, click on Settings in the top right portion of the page. Click on Add API application. 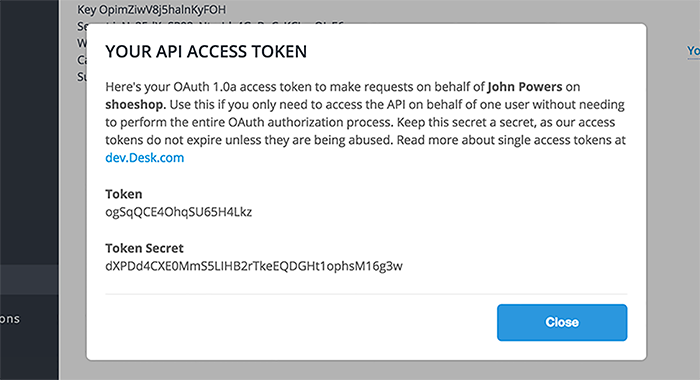 Next, you will need to provide the name of the API Application and a website URL. You can use LiveChat as the name and https://my.livechatinc.com/ as website URL. Leave the two remaining spaces blank. Confirm by clicking Add button. 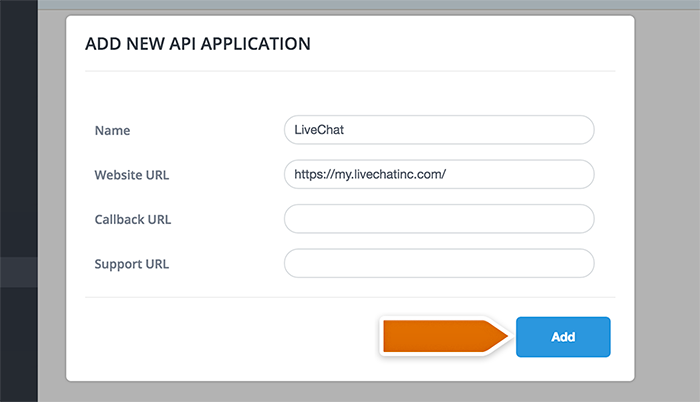 This will create an API Application for LiveChat and provide you with a Key and an Secret. You will need those in the next step of the guide. Select Your Access Token on the left side. Then copy the Token and Token secret and close the window. In order to proceed, go to the Desk.com integration page. Proceed by clicking on Install. You will need to provide the data of the API Application you’ve just created as well as the address of your Desk.com page. Type in all the information, i.e. Desk page address, your Desk.com Key, Secret, Token and Token secret. Finish by clicking on Save changes. Congratulations! Your Desk.com integration is now ready for action. To create a ticket using Desk.com integration, click on More in the upper right portion of the chat window during a chat with customer. Click on Create a ticket afterwards. You can also create a ticket from a conversation in the Archives. Click on the archived chat and then click on Create a ticket button. When you use the integration for the very first time, you will be required to provide your Desk.com e-mail and click on Save. After you create your ticket, you can modify it and assign it to an agent. Hit Update to finish the ticket creation process.